In many countries, the local nomenclature for a veterinarian is a regulated and protected term, meaning that members of the public without the prerequisite qualifications and/or licensure are not able to use the title. In many cases, the activities that may be undertaken by a veterinarian (such as treatment of illness or surgery in animals) are restricted only to those professionals who are registered as a veterinarian. For instance, in the United Kingdom, as in other jurisdictions, animal treatment may only be performed by registered veterinary physicians (with a few designated exceptions, such as paraveterinary workers), and it is illegal for any person who is not registered to call themselves a veterinarian or prescribe any treatment. Most veterinary physicians work in clinical settings, treating animals directly. These veterinarians may be involved in a general practice, treating animals of all types; they may be specialized in a specific group of animals such as companion animals, livestock, zoo animals or equines; or may specialize in a narrow medical discipline such as surgery, dermatology or internal medicine . As with other healthcare professionals, veterinarians face ethical decisions about the care of their patients. Current debates within the profession include the ethics of certain procedures believed to be purely cosmetic or unnecessary for behavioral issues, such as declawing of cats, docking of tails, cropping of ears and debarking on dogs. The word "veterinary" comes from the Latin veterinae meaning "working animals". "Veterinarian" was first used in print by Thomas Browne in 1646. 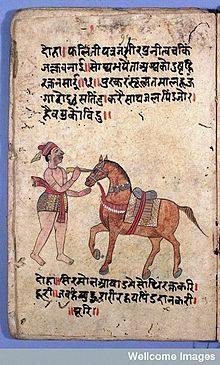 Ancient Indian sage and veterinary physician Shalihotra (mythological estimate c. 2350 BCE), the son of a Brahmin sage, Hayagosha, is considered the founder of veterinary sciences. 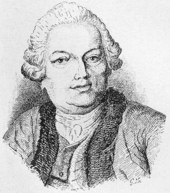 Claude Bourgelat established the earliest veterinary college in Lyon in 1761. The first veterinary college was founded in Lyon, France in 1762 by Claude Bourgelat. According to Lupton, after observing the devastation being caused by cattle plague to the French herds, Bourgelat devoted his time to seeking out a remedy. This resulted in his founding a veterinary college in Lyon in 1761, from which establishment he dispatched students to combat the disease; in a short time, the plague was stayed and the health of stock restored, through the assistance rendered to agriculture by veterinary science and art. 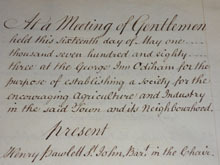 The Odiham Agricultural Society helped establish the veterinary profession in England. The Odiham Agricultural Society was founded in 1783 in England to promote agriculture and industry, and played an important role in the foundation of the veterinary profession in Britain. A 1785 Society meeting resolved to "promote the study of Farriery upon rational scientific principles." The professionalization of the veterinary trade was finally achieved in 1790, through the campaigning of Granville Penn, who persuaded the Frenchman Benoit Vial de St. Bel to accept the professorship of the newly established Veterinary College in London. The Royal College of Veterinary Surgeons was established by royal charter in 1844. Veterinary science came of age in the late 19th century, with notable contributions from Sir John McFadyean, credited by many as having been the founder of modern Veterinary research. Veterinarians treat disease, disorder or injury in animals, which includes diagnosis, treatment and aftercare. The scope of practice, specialty and experience of the individual veterinarian will dictate exactly what interventions they perform, but most will perform surgery (of differing complexity). Unlike in human medicine, veterinarians must rely primarily on clinical signs, as animals are unable to vocalize symptoms as a human would. In some cases, owners may be able to provide a medical history and the veterinarian can combine this information along with observations, and the results of pertinent diagnostic tests such as radiography, CT scans, MRI, blood tests, urinalysis and others. Veterinarians must consider the appropriateness of euthanasia ("putting to sleep") if a condition is likely to leave the animal in pain or with a poor quality of life, or if treatment of a condition is likely to cause more harm to the patient than good, or if the patient is unlikely to survive any treatment regimen. Additionally, there are scenarios where euthanasia is considered due to the constrains of the client's finances. As with human medicine, much veterinary work is concerned with prophylactic treatment, in order to prevent problems occurring in the future. Common interventions include vaccination against common animal illnesses, such as distemper or rabies, and dental prophylaxis to prevent or inhibit dental disease. This may also involve owner education so as to avoid future medical or behavioral issues. Additionally veterinarians have important roles in public health and the prevention of zoonoses. The majority of veterinarians are employed in private practice treating animals (75% of vets in the United States, according to the American Veterinary Medical Association). Small animal veterinarians typically work in veterinary clinics, veterinary hospitals, or both. Large animal veterinarians often spend more time travelling to see their patients at the primary facilities which house them, such as zoos or farms. Other employers include charities treating animals, colleges of veterinary medicine, research laboratories, animal food companies, and pharmaceutical companies. In many countries, the government may also be a major employer of veterinarians, such as the United States Department of Agriculture or the Animal and Plant Health Agency in the United Kingdom. State and local governments also employ veterinarians. Exotic animal veterinarian – Generally considered to include reptiles, exotic birds such as parrots and cockatoos, and small mammals such as ferrets, rabbits, chinchillas, and degus. Conservation medicine – The study of the relationship between animal and human health and environmental information. Small animal practice – Usually dogs, cats, and other companion animals/household pets such as hamsters and gerbils. Some practices are canine-only or feline-only practices. Laboratory animal practice – Some veterinarians work in a university or industrial laboratory and are responsible for the care and treatment of laboratory animals of any species (often involving bovines, porcine species, felines, canines, rodents, and even exotic animals). Their responsibility is not only for the health and well being of the animals, but also for enforcing humane and ethical treatment of the animals in the facility. Large animal practice – Usually referring to veterinarians that work with, variously, livestock and other large farm animals, as well as equine species and large reptiles. Equine medicine – Some veterinarians are specialists in equine medicine. Horses are different in anatomy, physiology, pathology, pharmacology, and husbandry to other domestic species. Specialization in equine veterinary practice is something that is normally developed after qualification, even if students do have some interest before graduation. Food animal medicine – Some veterinarians deal exclusively or primarily with animals raised for food (such as meat, milk, and eggs). Livestock practitioners may deal with ovine (sheep), bovine (cattle) and porcine (swine) species; such veterinarians deal with management of herds, nutrition, reproduction, and minor field surgery. Dairy medicine practice focuses on dairy animals. Poultry medicine practice focuses on the health of flocks of poultry; the field often involves extensive training in pathology, epidemiology, and nutrition of birds. The veterinarian treats the flock and not the individual animals. Food safety practice – Veterinarians are employed by both the food industry and government agencies to advise on and monitor the handling, preparation, and storage of food in ways that prevent foodborne illness. Wildlife medicine – A relatively recent branch of veterinary medicine, focusing on wildlife. Wildlife medicine veterinarians may work with zoologists and conservation medicine practitioners and may also be called out to treat marine species such as sea otters, dolphins, or whales after a natural disaster or oil spill. Aquatic medicine – mostly refers to veterinary care of fish in aquaculture (like salmon, cod, among other species), but can also include care of aquatic mammals. For certain countries with high economic income from aquaculture, this is an important part of the veterinary field (like Norway, Chile). Other countries (particularly those who are landlocked), might have little or no emphasis on aquatic medicine. Dentistry – Many practices are incorporating dentistry into their daily medical services. Most canine dental cleanings range from $500 to $1,000 with extractions and oral surgeries in the $2,000 to $4,000 range. Oral radiographs can cost the patient from $200-$400. Veterinary dentistry can extend the life of the patient by preventing oral disease and keeping the teeth & gums of the patient in healthy condition. Although the procedures and anesthesia can be pricey most veterinarians are starting to train in veterinary dentistry. Veterinary specialists are in the minority compared to general practice veterinarians, and tend to be based at points of referral, such as veterinary schools or larger animal hospitals. Unlike human medicine, veterinary specialties often combine both the surgical and medical aspects of a biological system. Veterinary specialties are accredited in North America by the AVMA through the American Board of Veterinary Specialties, in Europe by the European Board of Veterinary Specialisation and in Australasia by the Australasian Veterinary Boards Council. While some veterinarians may have areas of interest outside of recognized specialties, they are not legally specialists. Specialties can cover general topics such as anesthesiology, dentistry, and surgery, as well as organ system focus such as cardiology or dermatology. A full list can be seen at veterinary specialties. Some of the advantages of operating a mobile veterinary practice over a standard practice are the start-up and operating costs. Running a mobile practice is much less expensive than opening a brick and mortar location. A traditional physical location practice can cost upwards of $1,000,000 or more for equipment and surgical supplies. A mobile vet can operate as low as $3000 for a box in an SUV to around $250,000 for a fully equipped custom built chassis. The advantages for the pet owner are less stress to their loved ones, less risk of disease transmission and convenience for having more than one pet all at close to the same cost as a clinic. Having to harness up or put a pet in a carrier to transport them to the clinic can be stressful to the animal. A 2015 study published in the Journal of American Veterinary Medical Association proved that blood pressure readings, pulse rates and body temperature rates were increased by 11-16% when those readings were done in the clinic versus in the home. The median salary for graduating veterinarians in 2016 was $74,690 in the United States according to U.S. Money News, while the lowest paid graduates earned approximately $53,000 annually. Montana had the lowest state average, while Michigan, Illinois and Hawaii had the highest. The average income for a private practice associate in the United States was $158,000 in 2013. According to DVM360 most practice owners paid themselves based on production, including a 3-4% management fee plus a 4.5% "return on investment" fee dependent on the value of their business. We know from industry standards that the average owner of a veterinary practice earns approximately $301,000 per year median salary in 2015. Many practice owners also own the building where the practice is based, as mentioned above. In many cases the owner also is paid a fee for rental of the building in addition to their salary. These increased values exceed those of public practice including uniformed services and government. In Australia, the profession wide average income was $67,000 in 2011 and this has declined compared to other professions for the past 30 years whilst graduate unemployment has doubled between 2006 and 2011. The financial rewards for veterinary specialists proved impressive in a 2015 compensation survey sent to veterinarians in the US. Ophthalmologists and radiologists could earned more than $345,468 per year. Pathologists earned more than $267,000 per year, and veterinary surgeons earned more than $250,061 per year, and lab animal medicine specialists could earn more than $246,000 per year. Veterinary dermatologists responded to the survey with a median salary of $224,640 and anesthesiologists with $405,200. In order to practice, vets must complete both an appropriate degree in veterinary medicine, and in most cases must be registered with the relevant governing body for their jurisdiction. Degrees in veterinary medicine culminate in the award of a veterinary science degree, although the title varies by region. For instance, in North America, graduates will receive a Doctor of Veterinary Medicine (Doctor of Veterinary Medicine or Veterinariae Medicinae Doctoris; DVM or VMD), whereas in the United Kingdom or India they would be awarded a Bachelor's degree in Veterinary Science, Surgery or Medicine (BVS, BVSc, BVetMed or BVMS), and in Ireland graduates receive a Medicinae Veterinariae Baccalaureus (MVB). In continental Europe, the degree of Doctor Medicinae Veterinariae (DMV, DrMedVet, Dr. med. vet., MVDr.) or Doctor Veterinariae Medicinae (DVM, DrVetMed, Dr. vet. med.) is granted. The award of a bachelor's degree was previously commonplace in the United States, but the degree name and academic standards were upgraded to match the 'doctor' title used by graduates. Comparatively few universities have veterinary schools that offer degrees which are accredited to qualify the graduates as registered vets. For example, there are 30 in the United States, 5 in Canada, and 8 in the United Kingdom (3 of which offer degrees accredited by the American Veterinary Medical Association (AVMA)). Due to this scarcity of places for veterinary degrees, admission to veterinary school is competitive and requires extensive preparation. In the United States in 2007, approximately 5,750 applicants competed for the 2,650 seats in the 28 accredited veterinary schools, with an acceptance rate of 46%. With competitive admission, many schools may place heavy emphasis and consideration on a candidate's veterinary and animal experience. Formal experience is a particular advantage to the applicant, often consisting of work with veterinarians or scientists in clinics, agribusiness, research, or some area of health science. Less formal experience is also helpful for the applicant to have, and this includes working with animals on a farm or ranch or at a stable or animal shelter and basic overall animal exposure. In the United States, approximately 80% of admitted students are female. In the early history of veterinary medicine of the United States, most veterinarians were males. However, in the 1990s this ratio reached parity, and now it has been reversed. Preveterinary courses should emphasize the sciences. Most veterinary schools typically require applicants to have taken one year equivalent classes in organic, inorganic chemistry, physics, general biology; and one semester of vertebrate embryology and biochemistry. Usually, the minimal mathematics requirement is college level calculus. Individual schools might require introduction to animal science, livestock judging, animal nutrition, cell biology, and genetics. However, due the limited availability of these courses, many schools have removed these requirements to widen the pool of possible applicants. Following academic education, most countries require a vet to be registered with the relevant governing body, and to maintain this license to practice. Dependent on where the vet practices (or wishes to practice), they may have to complete an examination or test in order to complete this registration. For instance, in the United States, a prospective vet must receive a passing grade on a national board examination, the North America Veterinary Licensing Exam. This exam must be completed over the course of eight hours, and consists of 360 multiple-choice questions, covering all aspects of veterinary medicine, as well as visual material designed to test diagnostic skills. The percentage electing to undertake further study following registration in the United States has increased from 36.8% to 39.9% in 2008. About 25% of those or about 9% of graduates were accepted into traditional academic internships. (2008 -696 graduates accepted a position in advanced study, 89.2% (621) accepted an internship (private practice, 74.5%; academic, 25.3%; and other internship, 0.2%). An additional 6.0% (42) accepted a residency). Approximately 9% of veterinarians eventually board certify in one of 40 distinct specialties from 22 specialty organizations recognized by the AVMA American Board of Veterinary Specialties (ABVS). The first two-year curriculum in both veterinary and human medical schools are very similar in the course names, but at certain subjects relatively different in content. Generally, the more basal the field of science is (for example: biochemistry, biophysics, cell biology etc. ), the more similar it is. Later on when the courses get more clinically oriented, more significant differences arise. Where some things are completely different, and other things are about the same. Considering the courses, the first two-year curriculum usually include biochemistry, physiology, histology, anatomy, pharmacology, microbiology, epidemiology, pathology and hematology. Some veterinary school uses the same biochemistry, histology, and microbiology books as human medicine students; however, the course content is greatly supplemented to include the varied animal diseases and species specific differences. Many veterinarians were trained in pharmacology using the same text books as human physicians. As the specialty of veterinary pharmacology develop, more schools are using pharmacology textbooks written specifically for veterinarians. Veterinary physiology, anatomy, and histology is complex, as physiology often varies among species. Microbiology and virology of animals share the same foundation as human microbiology, but with grossly different disease manifestation and presentations. Epidemiology is focused on herd health and prevention of herd borne diseases, and foreign animal diseases. Pathology, like microbiology and histology, is very diverse and encompasses many species and organ systems. Most veterinary school have courses in small animal and also large animal nutrition, often taken as electives in the clinical years or as part of the core curriculum in the first two years. The last two year curriculum of the two fields are similar only in their clinical emphasis. A veterinary student must be well prepared to be a fully functional animal physician on the day of graduation, competent in both surgery and medicine. The graduating veterinarian must be able to pass medical board examination and be prepare to enter clinical practice on the day of graduation, while most human medical doctors in the United States complete 3 to 5 years of post-doctoral residency before practicing medicine independently, usually in a very narrow and focused specialty. Many veterinarians do also complete a post-doctoral residency, but it is not nearly as common as it is in human medicine. In the last years, curricula in both human and veterinary medicine have been adapted with the aim of incorporating competency-based teaching Furthermore, the importance of institutionalized systematic teacher feedback has been recognized and tools such as clinical encounter cards are being implemented in clinical veterinary education. Some veterinarians pursue post-graduate training and enter research careers and have contributed to advances in many human and veterinary medical fields, including pharmacology and epidemiology. Research veterinarians were the first to isolate oncoviruses, Salmonella species, Brucella species, and various other pathogenic agents. Veterinarians were in the forefront in the effort to suppress malaria and yellow fever in the United States. Veterinarians identified the botulism disease-causing agent, produced an anticoagulant used to treat human heart disease, and developed surgical techniques for humans, such as hip-joint replacement, limb and organ transplants. E-Vet Interns (1998–2002), a US show filmed at Alameda East Veterinary Hospital in Denver, Colorado. Emergency Vets, filmed at Alameda East Veterinary Hospital in Denver, Colorado. Rookie Vets (2005), featuring students at Massey University in New Zealand. Vet School Confidential (2001), following students at Michigan State University College of Veterinary Medicine in the US. Vets in Practice (1997–2002), a British series. James Herriot's series of books containing fictionalized stories of his career as a farm animal veterinarian in England, which was adapted as the BBC television series All Creatures Great and Small. The Three Lives of Thomasina about Andrew MacDhui, a veterinarian in a village in Scotland. The Doctor Dolittle series of children's books, which have twice been adapted into movies, Doctor Dolittle (1967), and Dr. Dolittle (1998). The movie Beethoven, featuring the evil veterinarian Dr. Herman Varnick. Most states in the US allow for malpractice lawsuit in case of death or injury to an animal from professional negligence. Usually the penalty is not greater than the value of the animal. For that reason, malpractice insurance for veterinarians is usually under $500 a year. Some states allow for punitive penalty, loss of companionship, and suffering into the award, likely increasing the cost of veterinary malpractice insurance and the cost of veterinary care. Most veterinarians carry much higher cost business, worker's compensation, and facility insurance to protect their clients and workers from injury inflicted by animals. Concerns about the role of veterinary physicians in helping health threats survive and spread have been raised by several commentators, particularly with respect to pedigree dogs. Koharik Arman (2007) reached the following conclusion for example: "Veterinarians also bear some responsibility for the welfare situation of purebred dogs. In fact, the veterinary profession has facilitated the evolution of purebred dogs. 'Breeds' that would not normally be sustainable are propagated by the compliance of veterinarians to breeder wishes." This finding was echoed by Sir Patrick Bateson in his Independent Review of Dog Breeding following the broadcast of the BBC documentary Pedigree Dogs Exposed: "It's only the ready availability of modern veterinary medicine that has permitted some conditions…to become widespread." ^ "G.K. Singh and R.S. Chauhan, "History of Veterinary Anatomy," Indian Association of Veterinary Anatomists". o-f.com. Archived from the original on 26 December 2005. Retrieved 6 May 2018. ^ Marc Mammerickx, Claude Bourgelat: avocat des vétérinaires, Bruxelles 1971. ^ a b Pugh, L.P (1962). From Farriery to Veterinary Medicine 1785-1795. Heffner, Cambridge (for RCVS). pp. 8–19. ^ Cotchen, Ernest (1990). The Royal Veterinary College London, A Bicentenary History. Barracuda Books Ltd. pp. 11–13. ^ "Exacting researcher brought profession into modern age". American Veterinary Medical Association. Archived from the original on 23 July 2017. ^ Stöhr K, Meslin FX (1997). "The role of veterinary public health in the prevention of zoonoses". Arch. Virol. Suppl. 13: 207–18. PMID 9413540. ^ "Market Research Statistics: U.S. Veterinarians 2017". www.avma.org. Archived from the original on 24 December 2017. Retrieved 6 May 2018. ^ "Veterinarians : Occupational Outlook Handbook : U.S. Bureau of Labor Statistics". Bls.gov. 26 April 2012. Archived from the original on 17 January 2012. Retrieved 5 July 2013. ^ "Veterinarians". goarmy.com. Archived from the original on 11 May 2009. Retrieved 5 July 2013. ^ Tiffany, Lynn M. “Mobile Vets are Driven to Succeed.” Veterinary Practice News. 09 Jun 2011. "Mobile Vets Are Driven to Succeed". 9 June 2011. Archived from the original on 20 December 2016. Retrieved 5 December 2016. ^ CVPM, Mark Opperman BS. "Use 4 factors to set veterinary practice owners' pay". dvm360.com. Archived from the original on 6 May 2018. Retrieved 6 May 2018. ^ Burns, Katie. "AVMA Survey Measures Income Trends to 2007." AVMA Journals (1 January 2009): Javma News. American Veterinary Medical Association. 2 Mar. 2009 < "Archived copy". Archived from the original on 15 September 2015. Retrieved 6 December 2012. CS1 maint: Archived copy as title (link)>. ^ White, Tim. "How we make ends meet: economic sustainability of the veterinary profession" Australian Veterinary Journal (April 2012). 18 Apr. 2012 <http://onlinelibrary.wiley.com/doi/10.1111/j.1751-0813.2012.news_v90_i4.x/abstract>. ^ "Learn About the Salaries of Veterinary Specialists and What They Earn". thebalance.com. Archived from the original on 19 August 2017. Retrieved 6 May 2018. ^ a b "Accredited Veterinary Colleges". AVMA. American Veterinary Medical Association. Archived from the original on 17 December 2014. Retrieved 12 December 2015. ^ Griel, Lester C. "Advising Notes." Division of Undergraduate Studies. 7 Apr. 2008. The Pennsylvania State University. 2 Mar. 2009 < "Archived copy". Archived from the original on 27 May 2010. Retrieved 3 August 2010. CS1 maint: Archived copy as title (link)>. ^ "American Board of Veterinary Specialties". AVMA. American Veterinary Medical Association. Archived from the original on 22 December 2015. Retrieved 12 December 2015. ^ "Market research statistics". AVMA. Archived from the original on 6 October 2012. ^ "Recognized Veterinary Specialty Organizations". AVMA. Archived from the original on 1 May 2006. ^ "ABVS - Recognized Veterinary Specialty Organizations". AVMA.org. American Veterinary Medical Association. Archived from the original on 17 December 2016. Retrieved 12 December 2015. ^ a b "DVM Curriculum — College of Veterinary Medicine at Michigan State University". Cvm.msu.edu. 7 December 2009. Archived from the original on 23 June 2013. Retrieved 5 July 2013. ^ Burger, C.; Pirker, M.; Bergsmann, E.M.; Winter, P. (2015). "[Quality management in competence-oriented teaching: Theory and practice at the Vetmeduni Vienna] Qualitätsmanagement in der kompetenzorientierten Lehre: Theorie und Praxis an der Veterinärmedizinischen Universität Wien". In Vettori, Oliver; Salmhofer, Gudrun; Mitterauer, Lukas; Ledermüller, Karl (eds.). Eine Frage der Wirksamkeit? Qualitätsmanagement als Impulsgeber für Veränderungen an Hochschulen [A question of effectiveness? Quality management as innovation generator for changes at universities] (in German). Bielefeld, Germany: UniversitätsVerlagWebler. pp. 145–160. ISBN 978-3-946017-00-4. ^ Bergsmann, Evelyn; Klug, Julia; Burger, Christoph; Först, Nora; Spiel, Christiane (2017). "The Competence Screening Questionnaire for Higher Education: Adaptable to the needs of a study programme". Assessment & Evaluation in Higher Education. 43 (4): 537–554. doi:10.1080/02602938.2017.1378617. ^ Buchner, H.H. Florian; Nawrocik, Daniel; Burger, Christoph (1 February 2018). "Student-Initiated Feedback Using Clinical Encounter Cards during Clinical Rotations in Veterinary Medicine: A Feasibility Study". Journal of Veterinary Medical Education. 45 (1): 76–84. doi:10.3138/jvme.0316-073r. PMID 28657483. ^ "His Works". James Herriot.org. James Herriot.org. Archived from the original on 22 December 2015. Retrieved 12 December 2015. ^ Arman, Koharik (September 2007). "A new direction for kennel club regulations and breed standards". Canadian Veterinary Journal. 48 (9): 953–965. PMC 1950109. PMID 17966340. ^ Bateson, Patrick (14 January 2010). "Independent Inquiry into Dog Breeding". Archived from the original on 17 January 2010. Retrieved 16 January 2010. Look up veterinarian in Wiktionary, the free dictionary. This page was last edited on 10 April 2019, at 13:37 (UTC).